The Building Futures Campaign closed on December 31, 2017. Thanks to the generosity of our benefactors, St. Mary’s Building Futures project in underway. There are three phases to the construction project. Phase 1 is the steam to hot water conversion of the heating system, which happened during summer and fall 2018. This project change the face of S. Mary’s Tony Conigliaro ’62 gymnasium as the balcony was eliminated to contain the boiler system and is now an enclosed wall. 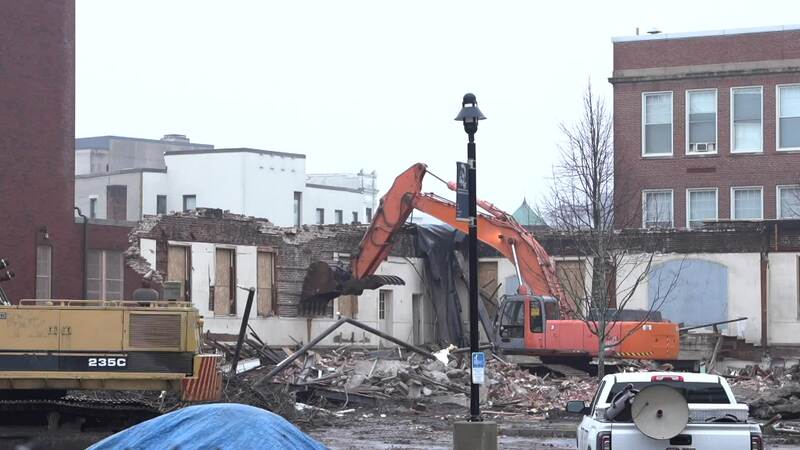 Phase 2 of the Building Futures Project was the demolition of the Chapel and Annex Building and the Boiler Plant. This space will be transformed with the new building and include green space, parking and more opportunities for learning. Phase 3 is the final phase in the Building Futures Project and will be construction of new STEM/GATEWAY building. Construction is scheduled to begin in Spring of 2019. The goal for completion is September 2020 or a 13-15 month span once building commences. Phase 2 of the Building Futures Construction Project occurred on the weekend of December 21, 2018 when the Chapel Annex and Boiler Plant Buildings were razed to make way for construction of the new Gateway and STEM Building on St. Mary's Campus. Help us honor the Chapel. Click here to give to the Grotto.